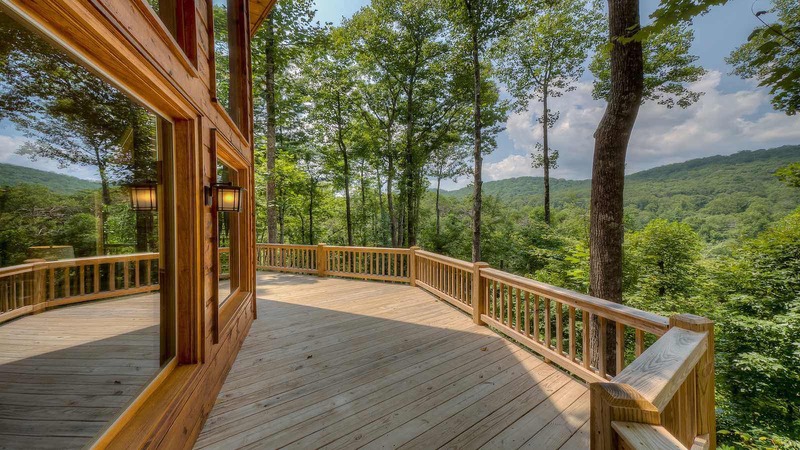 Escape to the Mountains and come to this beautiful cabin! The names says it all…. Mountain Creek Escape is the best way to experience both mountain views and water frontage! 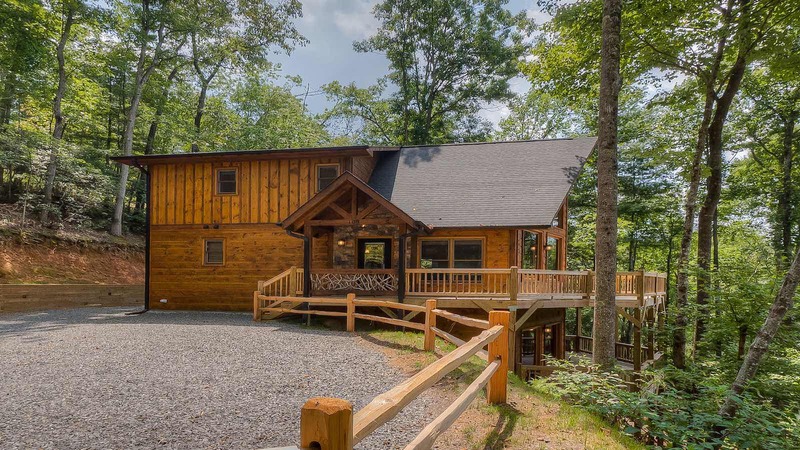 This brand new cabin is located just minutes from town with all paved roads! 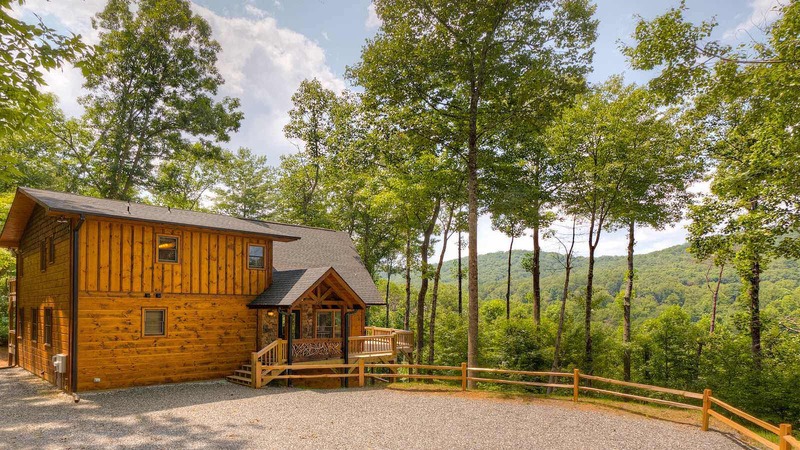 Mountain Creek Escape has a gorgeous year round mountain view and a short trail to a field (great for letting your furbabies run) and a small stream! Along the trail you will find a small fire pit that is perfect for roasting marshmallows and listening to charming crickets chirp. This cabin was custom designed and constructed by a talented local builder who has a knack for making details on stand out! The gated main level wrap around porch is handy for keeping to adventurous pups from straying of the deck. This wrap around porch spans three sides of the cabin and has an outdoor wood burning fireplace! The outdoor fireplace is just the spot you've been looking for to enjoy cool evenings and romantic nights plus its next to the grilling area with outdoor dining table. 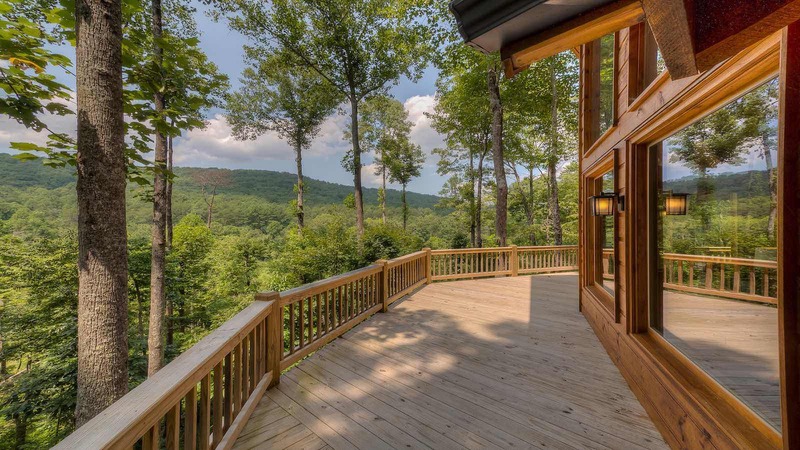 Can't you just picture yourself relaxing and enjoying the great outdoors while taking in the year round mountain views? The main level features a very spacious great room with dining table for six, living area with stone fireplace with gas logs and oversized super comfy furniture, fully equipped upgraded kitchen with granite & stainless appliances and a 1/2 bath for convenience. The main level bedroom has a queen bed, TV, and a private bath with a beautiful tile shower. The entire upper level of this cabin is the master suite. The master suite features a king bed, large TV, private open deck for early morning coffee and a large private master bath with a garden tub, double vanities and tiled shower. Just outside the master in the small loft is a reading nook that is waiting for you to finally read those books you've been collecting with the best of intentions. Grab a cup of tea or coffee, turn off your phone, and start turning the pages while enjoying the mountain view through the large glass windows. The fully completed level has a 3rd bedroom with queen bed, TV, full bathroom and a family room. The family room is centered around a 3rd stone fireplace with gas logs & large wet bar with fridge. This family and friends gameroom features a cool shuffle board table and large TV. Plus, if you to know when to hold 'em, when to fold 'em, and when to walk away, then the card table here is waiting for the cards to be dealt. Or just a friendly game of Go Fish, we won't judge. If you're ready to relax, step outside and you will find an upgraded hot tub that is the perfect ending to a lazy day or an action packed exploration of Blue Ridge. Ready for an escape from the everyday? Book Mountain Creek Escape!